Kayak adventures do not always take place in warm waters and balmy weather. If you own a sit-in kayak and often venture into the places with rough conditions and choppy water, it’s critical to have a spray skirt on your vessel to stay dry while paddling. Without this accessory, the waves that wash over the deck can easily destabilize your kayak and fill it with water. By connecting to the kayak cockpit, a spray skirt creates a watertight seal, thereby preventing your boat from swamping and keeping you dry. Aside from keeping out splashes and rain, it also creates a warmer environment inside the kayak which is particularly helpful when the water and air are very cold. That way a sprayskirt increases the comfort level. Choosing the best kayak spray skirt could be a tricky task. However, your search could be much easier if you know what to look for. Read on for the top-rated spray skirts and key buying factors. In order to deliver additional warmth and keep you dry at the same time, this spray skirt is created of breathable, waterproof fabric that easily sheds water and keeps the cockpit of your boat from overheating. It combines nylon and neoprene in an optimal ratio. The seams are double stitched to improve the durability and ensure that water does not get into the cockpit. Ballistic nylon comprises guards with strong lash loops that allow you to store your map case or other items. You can also use a zippered mesh pocket for smaller accessories. There is an adjustable waistband with detachable suspenders that prevent the sprayskirt from slipping away. Another useful feature you will appreciate is a band on the anterior rim. It comes in handy when you want to affix and remove the sprayskirt from the cockpit. The Seals Extreme is made of high-performance neoprene to be favorable in extremely tough conditions. This taut, waterproof fabric is combined with a bungee and reinforced with sealed seams to resist the roughest conditions. Besides, this fabric tunnel is breathable to keep your skin warm and aerated. The spray skirt comes with removable suspenders that help you keep the unit in place. 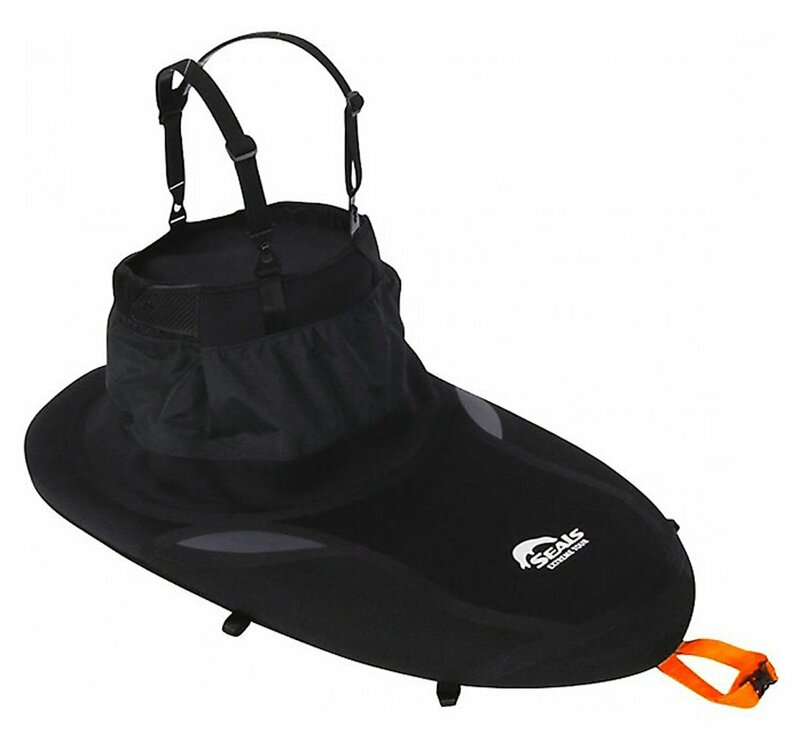 It also employs the Seal-Tex edge guard to keep your boat safe from abrasions when paddling in high wear areas. On the anterior side, there’s a visible band which secures the sprayskirt on the cockpit rim. Additionally, the Seals Extreme features a no-slip adjustable waistband that’s made from neoprene likewise. The spray skirt is convenient for cold conditions and it’s fairly easy to get on/off the kayak. 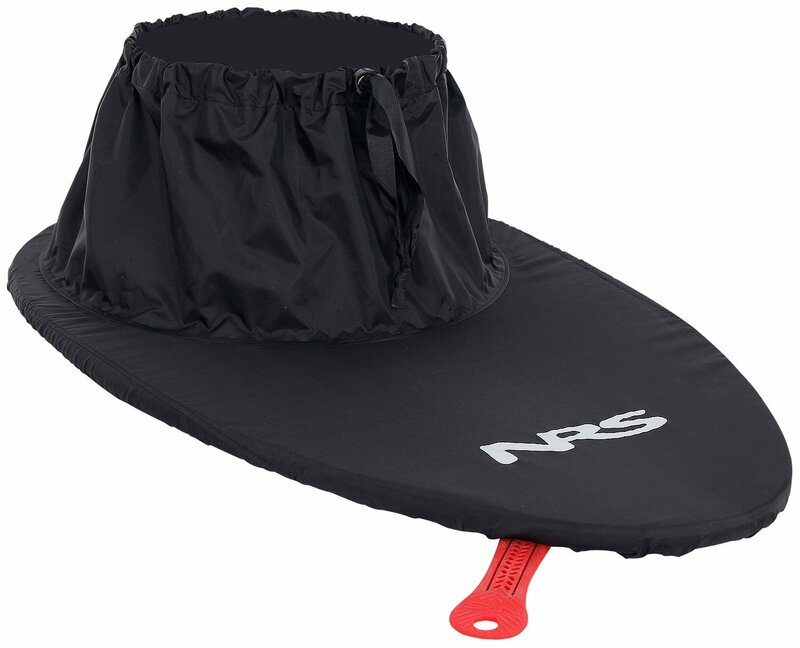 If you are looking for kayak sprayskirt that is suitable for learning or touring, look no further than the Basic Nylon sprayskirt from NRS. 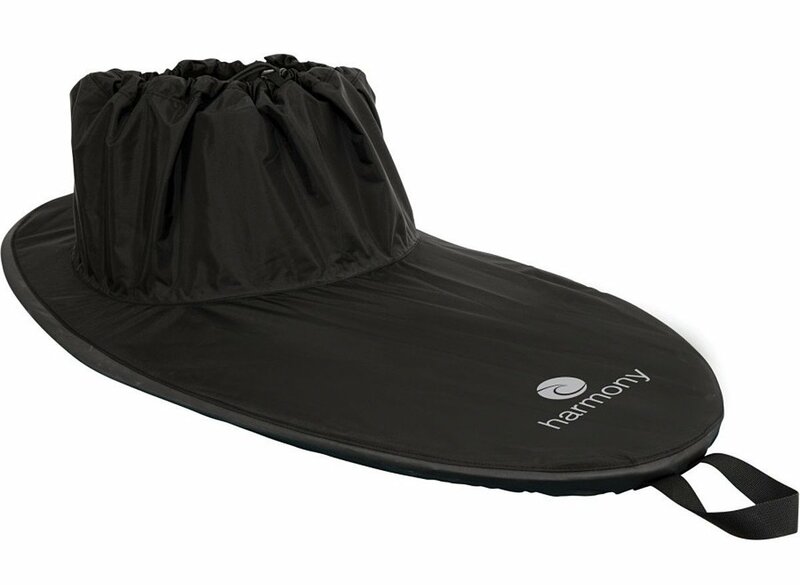 This product is made from durable nylon and designed with strong urethane coated nylon to keep you covered while paddling. The sprayskirt is equipped with a highly adjustable bungee which is suited for both drawcord and deck. For full mobility, there is a universal waist that can fit the cockpits up to 54″. Note that it’s neither trim nor tight like neoprene covers, so it may absorb a little water if you are not careful. Whether you use it on a lake or river, the NRS Basic spray skirt will protect you from water splash and rain. Make use of rubber grab loop for enhanced safety. Just make sure to select the right size and get the most out of paddling. One of the first things you should note about this sprayskirt is that it’s specially designed for women kayakers. It features a conical design and a bit shorter tunnel height to provide more space at the tunnel base and produce a more flexible deck. Supratex four-way stretch deck allows for a snug fit into the cockpit rim. The rim is reinforced by means of the heat welded seams for a water-tight, strong seal. Moreover, this guard reinforcement protects paddler’s knuckles and extends the lifespan of the deck. You’ll also find Power Cord useful in sealing the boat around the rim. The sprayskirt is fitted with a large 2-inch webbing grab handle that allows for a quick release. The mixture of polyurethane with a nylon coating makes this spray skirt highly durable and longevous, so you can rest assured that it won’t get worn out quickly. The nylon fabric also ensures a water resistance of this product. In addition, the spray skirt is double stitched to enhance its waterproof capability. Bear in mind that both the rim and shock cord are adjustable. The cord is included in the tunnel to keep it in place. Note that this product is available in 11 solo and 5 tandem configurations. Depending on the application, the sprayskirts are made of nylon, neoprene, or a mixture of both materials. Nylon skirts are usually employed for recreational touring and have a stretching waistband, which improves comfort and ventilation while kayaking for long hours. Most models feature polyurethane coating. Those spray skirts are quite easy to take off and put on; however, they’re not as watertight as a neoprene. Neoprene skirts are tight and snug to keep warmth in while fending off the water. They are designed to withstand bracing, rolling, as well as waves and wind. All the whitewater sprayskirts are neoprene. Keep in mind that this is only a good choice for cold climates and winter months. Nylon-Neoprene skirts mix and match the best features of both worlds — the watertight seal of neoprene as well as comfort and venting of nylon materials. 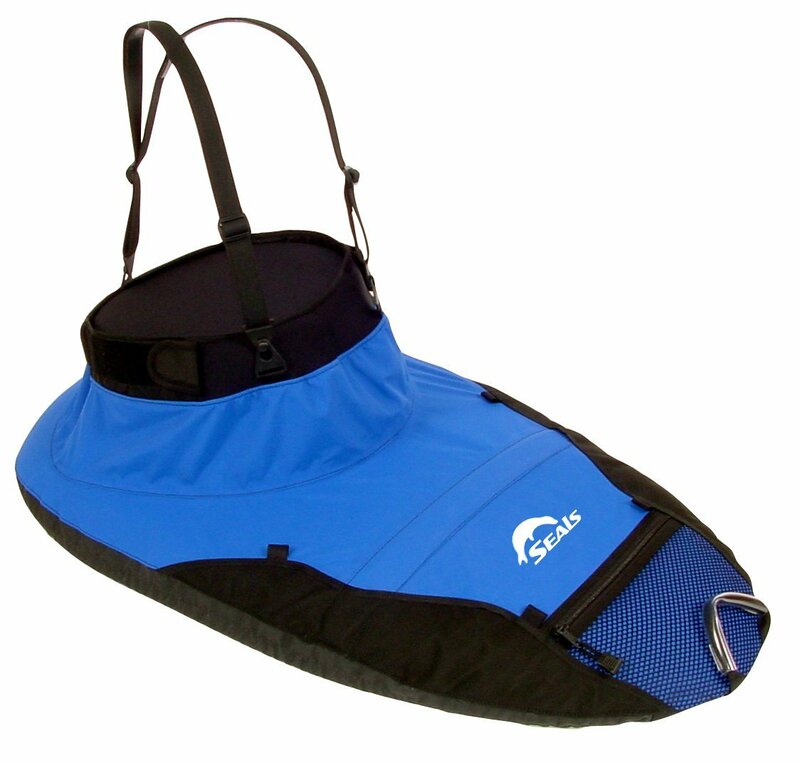 There are different types of sprayskirts for various kayak trips. Half skirts (also known as mini skirts) are designed specifically for kayaking in warm weather conditions with calm water. As their name suggests, they fit over the upper half of the cockpit and are only attached to its front side to keep water out whilst letting fresh air circulate. Tandem skirts, on the other hand, are designed for two people and can be used in more turbulent waters. They made from 2 separate pieces of fabric so as to provide ample coverage to the cockpit. While some sprayskirts are specially designed for a particular type of kayak others are universal. For example, nylon skirts typically come with an adjustable design offering one-size-fits-all solution. Be sure the sprayskirt fits your torso and cockpit too. It’s highly recommended to try on a skirt before buying it in order to find the best tunnel size. What’s the purpose of purchasing a kayak sprayskirt that doesn’t keep out water? If you’re buying a sprayskirt for the warmer climates or summer months, remember that the type you pick may allow a little water to enter the cockpit, which mainly depends on its design. Some models come with extra features like an adjustable waistband, pockets for storage (interior and/or exterior), removable suspenders, shoulder straps, and so on. 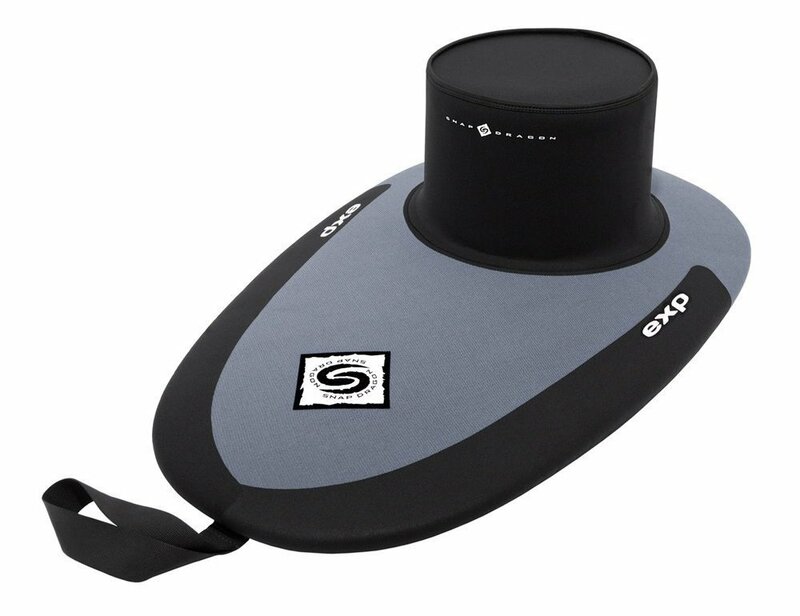 While the sprayskirts with added features and adjustments can take your paddling experience to the next level, they are more prone to leaking than one-piece kayak skirts. Before purchasing a kayak spray skirt, make sure to thoughtfully weigh value and overall cost. A good sprayskirt must be able to protect your lower body from the sun and keep out water. All the models reviewed above fit the bill. It’s up to you to make the decision on your own and choose the one that works best for your kayak and conditions you’re paddling in most.